An open trailer carrying garbage overturned Thursday, Nov. 13, 2014, in Corinth. A rock hauler overturned and spilled its load on underneath Interstate 35E in Corinth Thursday. 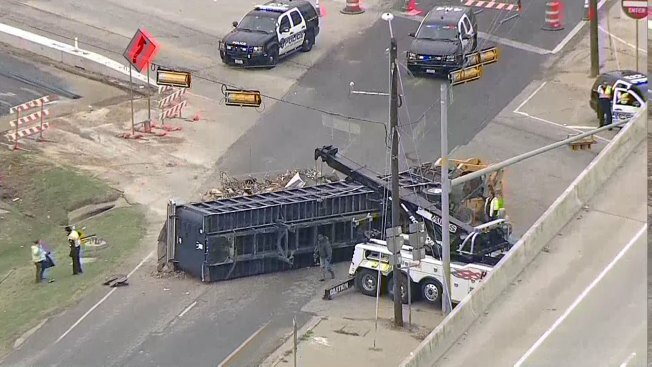 The truck, which was apparently carrying garbage, toppled over along Swisher Road and the southbound service road to I-35E. The crash is having minimal to no impact on traffic along I-35E. Officials have not said how long they expect it to take to clear the debris.